In addition to the absence of so many experienced players, the call off by Maurice Malpas due to flu further complicated team selection. 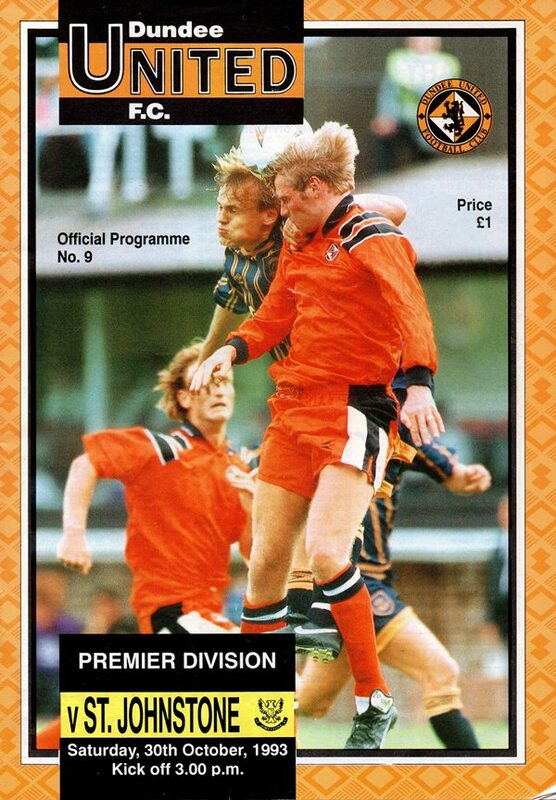 The end result was that Craig Brewster for the absent Tannadice skipper was the only change from the side defeated at Pittodrie. 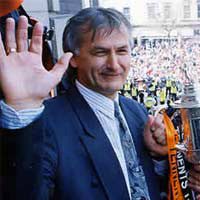 Craig Brewster was very much involved in the early stages just failing to connect properly with an McLaren cross and then turning on a Christian Dailly pass and shooting narrowly wide within the first three minutes. However, it was Saints who were to go closest to getting their noses in front after only four minutes when former United midfielder Harry Curran sent in a curling 25 yarder which captain for the day Alan Main was at full stretch to tip over the bar. 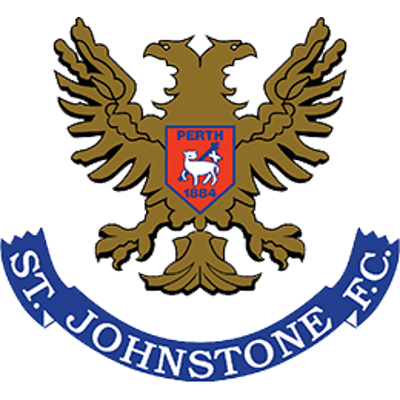 Saints then pressurised United with a series of corners, play became stagnated in midfield until Billy McKinlay split the Saints defence with a through ball to Craig Brewster, but his low grounder was saved by Rhodes. There were narrow escapes for both sides immediately on the resumption. A lightening run and cross by John Clark down the right found John O'Neil, but his clip from the near post strayed past the far post. Instantly at the other end Torfason smashed a 20 yarder off the base of the post, Eight minutes later United took the lead when Andy McLaren pushed the ball into Craig Brewster's path and though the ball bubbled up his shot from 20 yards sailed past Rhodes into the top right hand corner. Saints took a while to threaten, but when they did it was a vengeance and left everyone in bewilderment that they failed to score! Harry Curran sent over a cross from the left which Davies headed for goal, but Alan Main touched it on to the bar and Davies inexplicably hit the crossbar from the rebound from only a couple of yards out with the goal at his proverbial mercy. The ball was eventually scrambled away and Alan Main even prevented a corner! The visitors paid for this profligacy in front of goal five minutes later when Billy McKinlay dispossessed Gary McGinnis on the edge of the box and went on to strike an angled drive past Rhodes from 12 yards to end the match as a contest. The honeymoon is over! My patience has snapped after the latest defeat at Pittodrie last Saturday. Yet again, in what has become an almost regular occurrence in every match, we handed the opposition a goal of a start and I can assure our supporters that was the last time this will happen. Throughout my career I have never been part of something which was average and I don't intend to start now! It was not ideal that I only had the pre-season friendlies to evaluate the entire playing staff, so I really needed a couple of months of competitive action to assess the whole situation and the lack of concentration in defence is particularly annoying. Although, I'd concede that we are not scoring enough goals, what concerns me more is not only the number, but the manner of the goals we are conceding. If you are solid at the back and give nothing away, then that is a good base from which to work, because it increases the chances of you picking up a goal at the other end. From now on there will be no more chances given to the players if they fail to meet the standards I expect. I want total concentration, 150% commitment from and consistency from The players. Those who fail to deliver will play in the reserves or even find themselves on 'the dole!' We simply cannot afford a repeat of the soft-centred approach on view at Pittodrie last week. True we did play some neat possession football, but the loss of another very bad goal gave a mountain to climb and we certainly didn't manage to scale the necessary heights of performance to get back in the game. Today we face St Johnstone with whom we shared the points at McDiarmid Park earlier in season. My message to the players this week has been that we must show immediate improvement and the only way that can be gauged today is by a win against St Johnstone.